Hello again, dear readers. It's almost summertime here in Nevada. You can basically say we had our one week of Springtime weather, so it might as well be called Summer already. We just had Memorial Day. The waterparks are open for business. People are out fishing and camping. 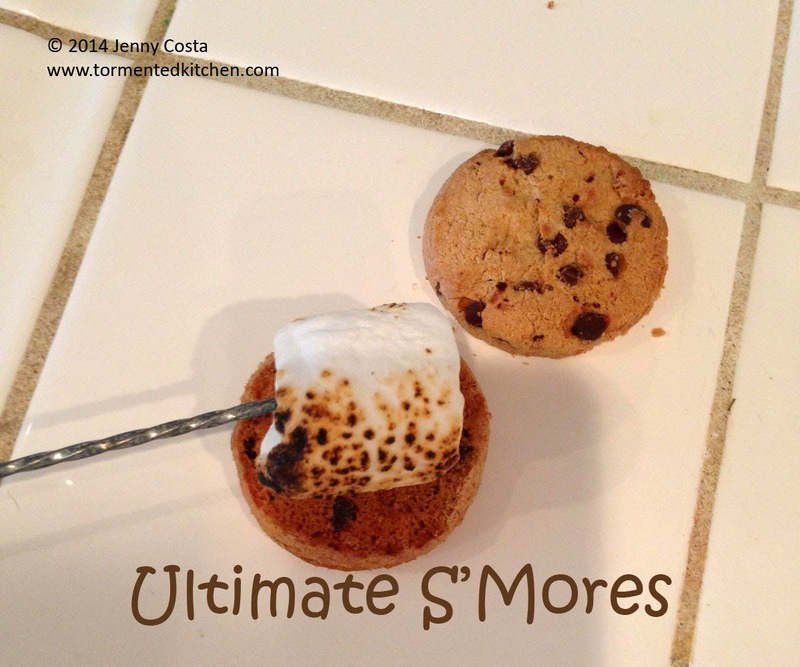 It's time for every scout's favorite campfire treat. 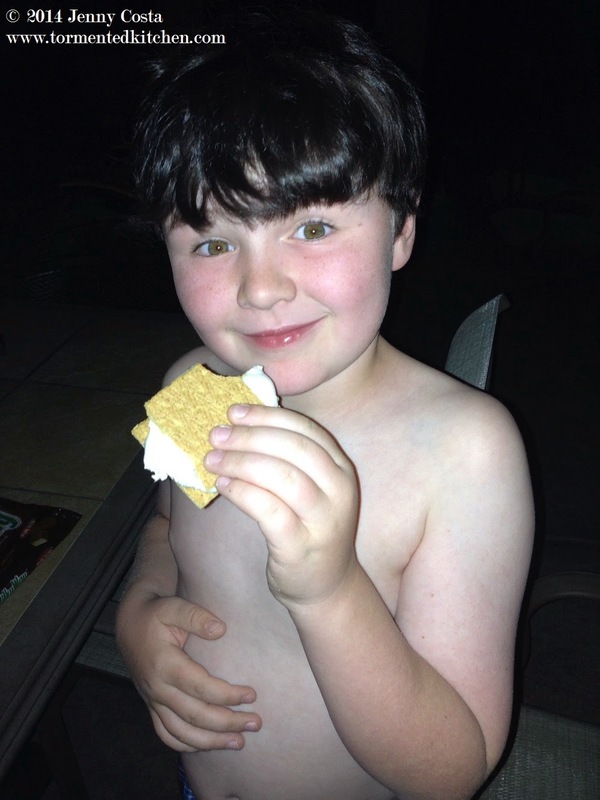 S'MORES!!!! 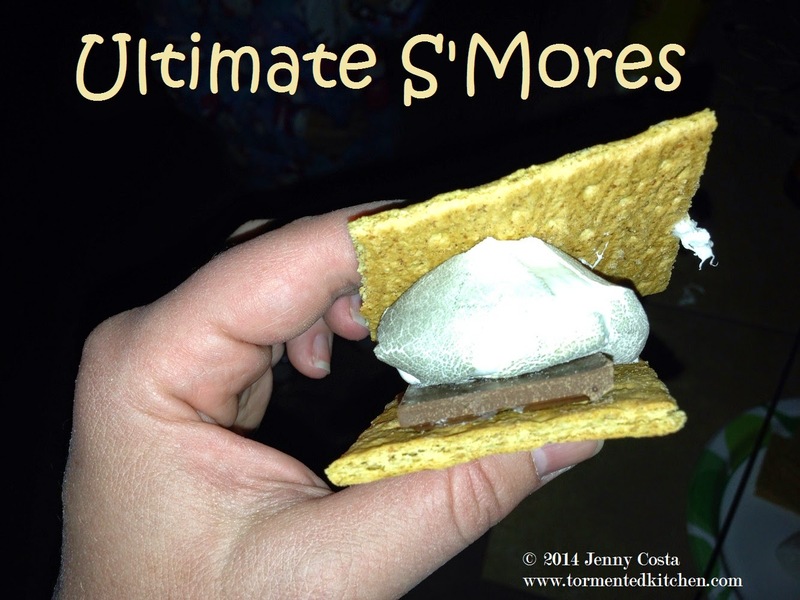 I'm sure most people are familiar with the original s'more. If you've seen the latest Hershey TV ad, then you've seen Hershey's chocolate teamed with Jet-Puft marshmallows and Honey-Maid graham crackers. Now, those are good, BUT I can up the ante. I can IMPROVE THEM!!! What you need is to think outside the s'more. You need to evolve the s'more, layer by delicious layer. You must know by now that is not health food. It's a devilish delicious treat. Let's start with the cracker. You can stick to graham crackers if you like. I picked up a box of Honey Grahams at Trader Joe's, as well as some of their Speculoos. You could experiment with chocolate chip cookies, like Keebler or Chips Ahoy. Maybe Oreo's sound good to you, which are Vegan and a bit on the small side. If you don't want to fuss with the Oreo filling, get some Nabisco Famous Chocolate Wafers. They're similar in chocolatey goodness without the white stuff. Now, go to the candy aisle. Grab some Reese's Peanut Butter Cups, or Justin's dark chocolate peanut butter cups if you need Vegan options. Grab some snack-size Milky Ways. Heck, grab some Dove or Cadbury chocolate bars, even the Cadbury Fruit and Nut bars are good. Then, what about the marshmallow layer? You need something sticky to hold it all together. I love toasted marshmallows for this. However, maybe you'd like some Trader Joe's Speculoos Cookie Butter? Or Biscoff Cookie Butter, which is also Vegan and very yummy. Something else I've tried that's good is frosting, good old vanilla buttercream frosting. Or if you're really adventurous, toast some fruity chewy candies like Starburst. Yeah. Let's get crazy! As for the campfire treat component, you don't have to be camping. 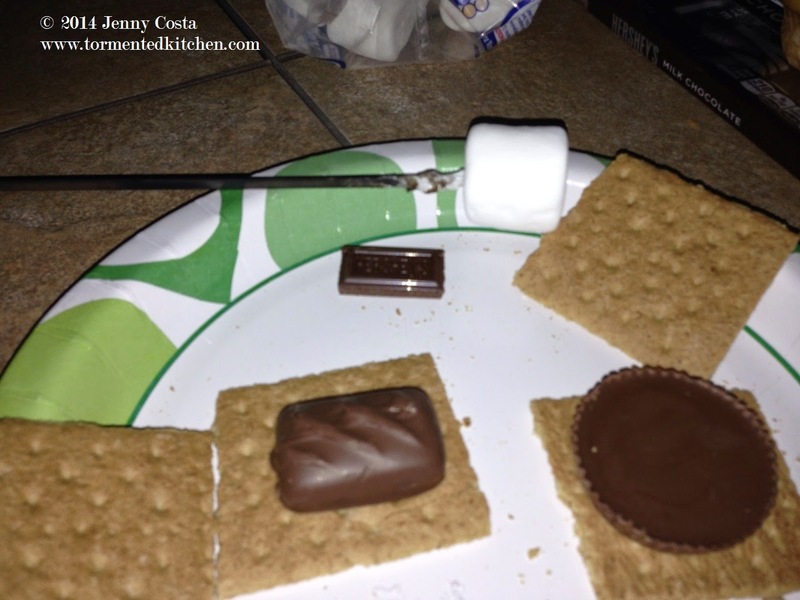 You can toast marshmallows over your gas flame cooktop, grill, or a candle. You can even just pile stuff together and microwave it until the marshmallow puffs up, but then it's not toasty. I suppose if you don't want the marshmallow, then this is a moot point. We're all about live fire and marshmallows here! The bottom line, the point I'm making is to take something and sandwich it all together. Why not mix and match? 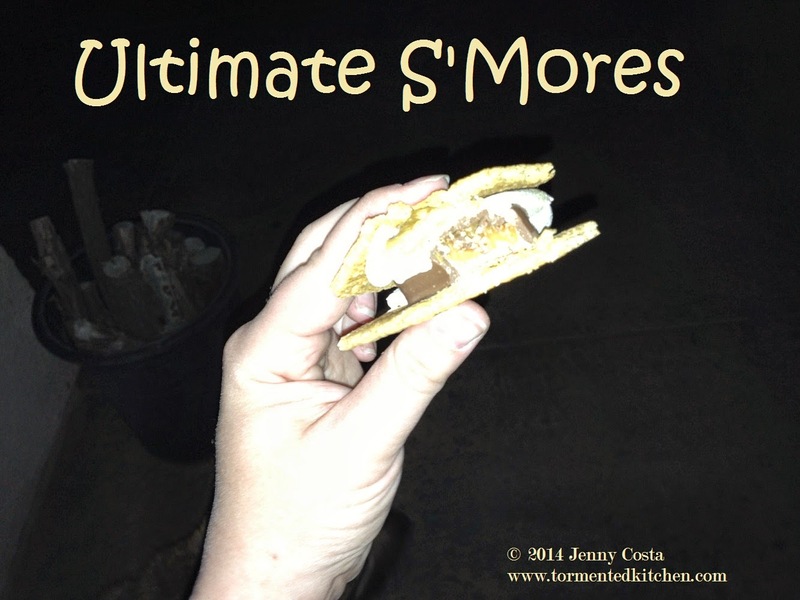 For me, it's not really a s'more unless it has toasted marshmallow. For some of my friends, the marshmallow is optional. 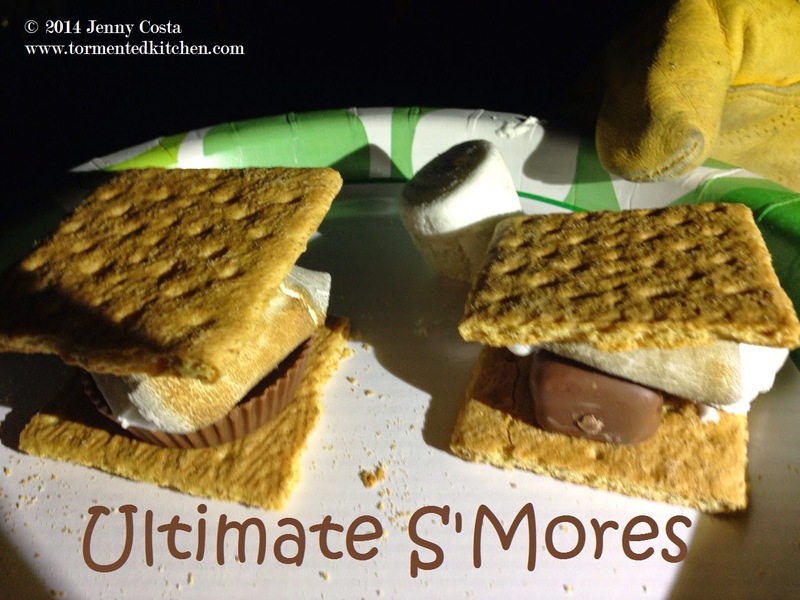 Make it, try it, and find what your ultimate s'more is. My friend Barb loves chocolate chip cookie, Hershey, toasted marshmallow. Shannon is into the speculoos cookie and cookie butter. The hubby loves graham cracker, Peanut butter cup, toasted marshmallow. My new favorite is graham cracker, Milky Way, toasted marshmallow. What's yours? 1. Arrange your cracker layer on a plate. 2. Add a piece of chocolate on top of the cracker layer. 3a. 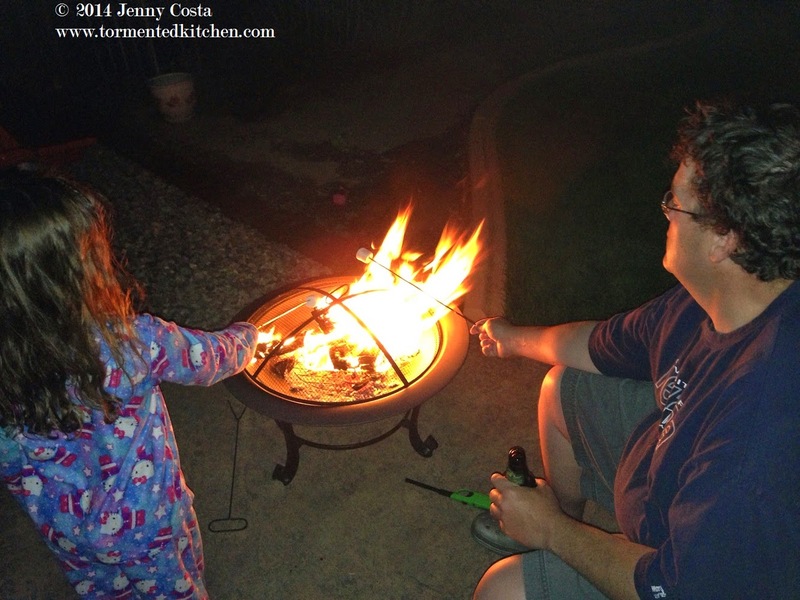 If using marshmallows, Starburst, or Mambas, toast it on a long stick or fire-proof kabob skewer. Push it off onto a second cracker. It will be hot and gooey. 3b. If using a spread, apply to a second cracker. 4. Place second cracker on top of candy, smooshy side inwards.